So writes Mark Thomas (www.silverpriceadvisor.com) in edited excerpts from his original article* as posted on Seeking Alpha under the title 20 Reasons To Consider Silver For The Long Term. Many gold investors deride silver as the “poor man’s gold” because of its low relative price to gold. They also don’t like the fact that because it is used primarily as an industrial metal it can be negatively affected by a cyclical downturn in the economy. This is opposite of gold which is viewed almost entirely as a precious metal. Many years ago, the silver market was so over-supplied because there were huge artificial inventories of silver. The U.S. took currency (coins) out of circulation due to its physical silver content and because of this artificial situation, huge surpluses hung over the market until these excess inventories were depleted. This led to silver prices crashing as low as $2 and then traded around $5 for years. Because silver had so decoupled from the price of gold during this period, it began to be thought of as just another industrial metal and not a precious metal. The lower price of silver at $31-32 appeals more broadly to small investors relative to more expensive gold at $1,650-1,700, especially if gold prices continue to rise. Most silver is not found in mining sites in any significant concentrated form. It is usually chemically bound to other metals; much of it is actually the byproduct of mining for lead, copper, etc. In the last few decades this made it less attractive from a profitability standpoint to invest in a pure silver mine. Now prices have finally recovered enough to make new projects feasible again. So there is new investment in the sector but it is a lengthy multi-year process to bring on significant new production. The last time silver was found in huge concentrations or veins that dramatically affected the amount available and therefore significantly lowered prices was in the Comstock Lode in Nevada in the late 1800s. The Comstock Lode produced tons of ore that was very pure with concentrations of 25-50% silver. Silver mines today have much lower concentrations, usually always less than two ounces per ton of refined ore.
Silver is the most conductive metal on earth. Gold is also conductive but is prohibitively expensive due to its much higher price for most industrial uses compared to silver. Silver is an industrial metal with over 10,000 commercial applications. Because it is one of the best electrical and thermal conductors, that makes it ideal for electrical uses such as switches, multi-layer ceramic capacitors, conductive adhesives, and contacts. It is used in some brazing and soldering as well. Silver is also used in solar cells, heated automobile wind shields, DVDs and some mirrors. This is unlike gold where five billion ounces have been mined and two and half billion ounces (estimate) are still available in all inventory. Since gold is hardly ever discarded because of its very high price, used mainly in jewelry or for investment purposes, the total inventory is so much larger than silver. The supply demand equilibrium in silver is extremely tight. There is now less than one year of inventory of silver, compared to over eleven years of inventory in the 1970s. Exchange Traded Funds (mainly SLV, SGOL, PSLV and CEF) have opened precious metals investing in silver to millions of investors around the globe. When an investor makes net new purchases, the ETF purchases physical silver and removes it from the available market, which increases the scarcity of available supply. This is the first time many investors worldwide are not required to actually buy physical silver bullion and coins and store it themselves. Now they have an investment vehicle that offers liquidity and ease of trading to get exposure to precious metals. Silver also has many medicinal applications. Roman soldiers long ago noticed that if water is kept in silver cups, it wouldn’t become stagnant. Today silver in “colloidal” form is used as a broad spectrum antibiotic. It can be used in bandages to treat burn victim’s wounds and also in colloidal form, actually swallowed to target microorganisms in one’s gut. It is also used in water purification systems. The US Dollar has lost 31% of its purchasing power just since 2000. The dollar has lost a staggering 82% of its value since the US was taken off the gold standard in 1971. Since the Federal Reserve was created in 1913, the US dollar has lost 95.6% of its purchasing power. When you compare the historical appreciation and more importantly, the retention of real purchasing power of precious metals versus the dollar in those same time frames, those facts alone should convince you that significant exposure in precious metals is necessary to protect your wealth. The primary and overarching reason you should have a significant percentage of your investment assets in precious metals is simple: to protect the real purchasing power of your accumulated wealth. In this age of governments abusing their privilege of excessively printing currency, on a magnitude and scale not seen for decades, only gold and silver can protect and actually grow your wealth. Gold and silver are such unique elements with so many uncommon properties. Therefore the chance of a gold or silver substitute being developed is almost impossible. It hasn’t happened in thousands of years and it probably never will. That is what makes them exclusive; they can’t be printed, manufactured or copied. They can only be mined, purchased from a willing seller of the world’s existing inventory and from recycling. Unlike an account at a bank, a dollar bill or a bond, these are all both an asset and liability to counterparty. This includes every other financial instrument and derivative man has created in history. Precious metals are the only asset class with no counterparty risk if you have physical or very secure possession. They will always retain some value and can’t go to zero like any other investment. 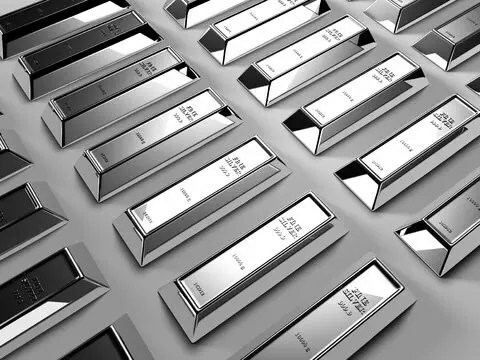 The total gold market is 61 times the size of the silver market, yet as interest in silver increases this sets up a situation where prices could soar higher. Since World War II, the U.S. government has sold over five billion ounces of silver and currently has no reported stores. Now that vast stockpiles are gone, the supply demand equation has changed dramatically. If one want to get exposure to silver in a brokerage account you should consider the exchange traded funds such as Ishares Silver Trust (SLV), ETF Securities Physical Silver (SIVR) and Sprott Physical silver Trust (PSLV). 3. What Do Gold Measurements “Troy” Ounce and “Karat” Really Mean? 13. I’m A Crazy Silver Bug…Why Aren’t You?! !